Cities are often leaders in climate action and ambition. National governments need to recognise this and empower them with the financial and technical means to complete their transition away from fossil fuels, writes Abdeluheb Choho. Abdeluheb Choho is deputy mayor of Amsterdam and chair of EUROCITIES Environment Forum. The clean energy package is an essential framework under which the EU implements its Paris Agreement obligations. In light of the US administration’s decision to backtrack on those commitments, it is more essential than ever that the EU leads by example. Cities can be key partners in speeding up the energy transition, helping to empower citizens and boosting local energy generation. And cities often have more ambitious climate goals than the national and EU levels. Through conversations I have had with colleagues throughout the EUROCITIES network, I hear of many examples that prove cities are leaders in climate and energy policy. For example, Copenhagen plans to be carbon neutral by 2025 while Stockholm has committed to becoming fossil fuel free by 2050. As the level of government closest to citizens, we have demonstrated both that energy transition is possible, and that we have the determination to deliver it, through initiatives such as the Covenant of Mayors. Despite this, we see that cities’ role in the Energy Union is not as strong as it could be. We need better governance mechanisms. Local realities would be better reflected in policy if member states were to consult and report on city commitments in their national energy and climate plans. It is in cities that the biggest impact can be made, since cities are engines of national economies and around three quarters of all Europeans live in urban areas. City authorities know that the greatest step we can take is to become more efficient in the energy we use. In densely populated cities, space is scarce for new energy generation. In my city, Amsterdam, we have been able to use the water temperature from cold water pipes of the water supply company for cooling in a medical environment, a great innovation. We have also taken the step to phase out natural gas for heating homes by 2050. We are in no doubt that this will be a complex process and we will learn as we go. We will introduce district heating systems at a regional level to heat homes. This means generating heat at a central facility and piping hot water to homes in order to save energy and produce fewer carbon emissions. During the transition period, we will also consider alternative energy sources, such as collecting waste heat from industry. Across Europe, city administrations deploy different instruments to address energy poverty and this level of ambition should be matched in the EU’s legal framework. Specific guidelines on how to define energy poverty and how to measure it would help public authorities to comply with reporting requirements, while keeping in mind local specificities. This should include alternative policy measures for energy poor households who lack adequate access to energy services. To give another example, my municipality has made roofs available for a cooperative of households on low income so that they can generate their own sustainable electricity. Finance will be crucial to assist cities in realising the energy transition, but there are currently many barriers that prevent full deployment of financial instruments. To make the most of available financial products, we need a more flexible approach. This would allow local authorities to integrate projects on air quality, mobility and social inclusion, for a better return on investment and a bigger impact. Our urban challenges are not each specific to one sector and our tools for solutions must respond to this. Also, to scale up the use of financial instruments, we urgently need to make progress on how to aggregate demand at regional and national level, to improve communication and to build the capacity of local authorities. Cities offer the know-how to drive results while working with citizens, including them in consultations and developing solutions together. The success factors of local collective energy cooperatives are mainly the empowerment of citizens to take responsibility and shared ownership of the energy transition. 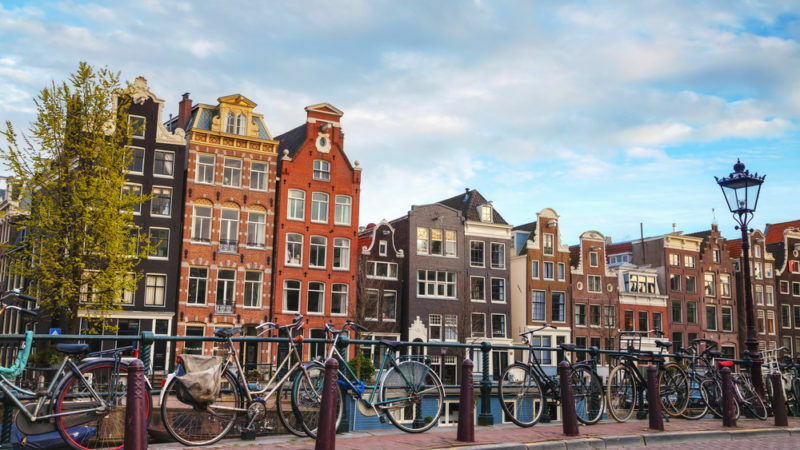 In Amsterdam, we have a “social return” clause which creates jobs for young unemployed people to learn sustainable and environmental business practices within companies that have won public contracts. Together with my colleagues from EUROCITIES, I look forward to discussing these challenges at the EU Sustainable Energy Week. When we listen to the experience of cities, and ensure that citizens have a strong voice in the process, we can boost the energy transition the EU needs. Our cities can help meet these goals, making the EU the global leader in clean energy.